A special work conference on promoting railway construction was held in Changsha recently. It was learnt that Hunan Province planned to invest in 10 railway projects with a total mileage of 1,604 kilometers this year; the opening and operation of Huaihua-Shaoyang-Hengyang Railway will be ensured at the end of this year; and the Changde-Yiyang-Changsha Railway will start construction. 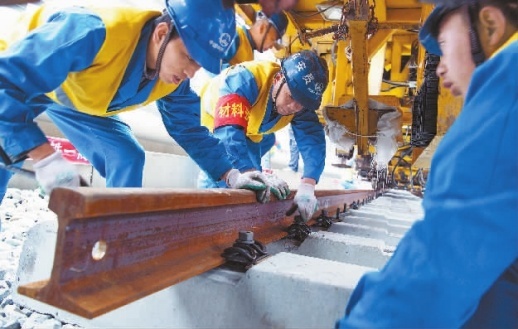 There are now 9 projects under construction in Hunan, including the Huaihua-Shaoyang-Hengyang Railway, the Qianjiang-Zhangjiajie-Changde Railway, the Menghua Railway, the Chongqing-Huaihua Double-Track Railway, the Zhangjiajie-Jishou-Huaihua Railway, the Changde-Yiyang-Changsha Railway, the Huaihua-Liuzhou Electric Railway, the Hunan-Guangxi Railway Yongzhou section expansion project, and the Xianing Freight Yard expansion project. 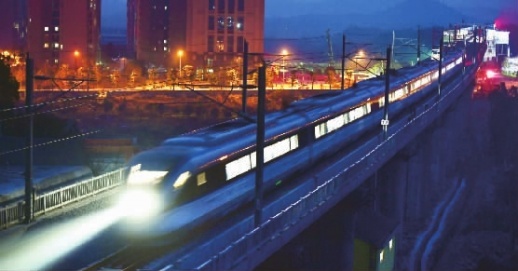 Besides, one project of the connection line between the Changsha-Zhuzhou-Xiangtan Intercity Railway and the Shimen-Changsha Railway was in preliminary phase and planned to start construction at the first half of the year. The Huaihua-Shaoyang-Hengyang Railway main line completed track laying on March 20, 2018. It is planned to start completion acceptance in May to ensure official operation at the end of the year. By then, there is a shortcut in the middle and western regions of Hunan Province linking to the southeastern and southern China.